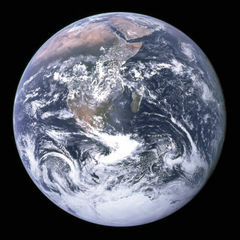 April 22 is called Earth Day because it both commemorates and celebrates the observance of the anniversary of our discovery of planet Earth. At this time by all accounts, there is general agreement that Earth is far superior to the planet from which we came, as we shall recount below. Meanwhile, several companies on Earth celebrate it as a holiday, as mine does, or draw significant attention to it with feats of Interweb and mobile legerdemain. Google has gained ground going green, gathering gajillions of G-Suite guests giddy with great gobs of gleefully garnered gigabytes of storage. 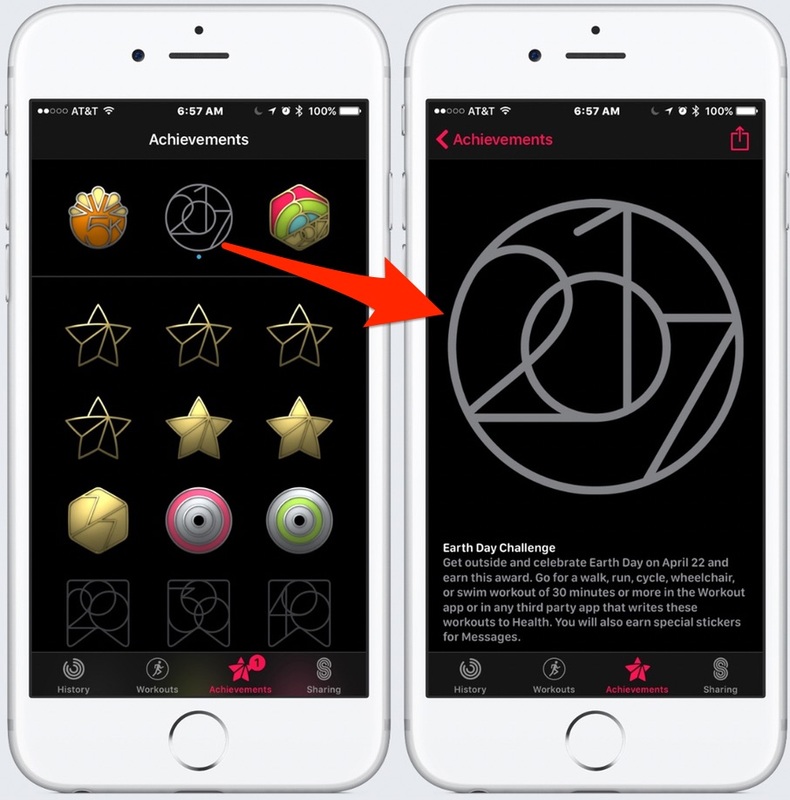 And Apple’s alliterative Activity App on the Apple Watch adds an Achievement Award! If you do 30 minutes or more of outdoor activity on Earth Day, you’ll get this nifty badge to amaze your friends and impress your relatives. The activity can be a walk, run, cycle, wheelchair, swim, or digging in the garden as long as you do it for 1/48th of the day. Teleportation, despite relocation to a considerable distance, is considered cheating. Recently, however, there has been increased concern regarding our displacement of the original aboriginal inhabitants, as is often the case with more “advanced” conquerors, which is how we like to think of ourselves. The indigenous population, a kind of Eukaryota or more specifically Archaeplastida, is known in the vernacular as plants. You cannot have missed the increased coverage in the media on all things “green.” Of course, the Irish were the first to capitalize on this theme, but now everyone seems to have jumped on the bandwagon, with everything from green vehicles to green computing. Increased recognition of this under-represented previous population of our planet, sometimes persecuted almost to the point of extinction — when was the last time you saw a chocolate bush? — has brought greater attention to rampant plantocide: witness for example that in Kansas whole fields of corn continue to be slaughtered. Instead, responsible humans might consider an alternative. One could choose instead to eat animals, which already have the good sense to be made of meat. And they are higher in protein, like chocolate, one of the other four food groups. Let’s put botanophobia behind us. So, in celebration, let’s respect our plant brethren. They’re often at least as intelligent as many people you know: have you ever noticed how a sunflower tracks the movement of the sun? Think about it, Van Gogh did. They’re also quiet and, while generally are not good conversationalists, are better behaved than many human children. Of course, this is with the exception of fungi, the so-called “trailer trash” of the plant kingdom, which have been disowned for phylogenic reasons, not to mention them being “photosynthetically challenged.” Some of these heterotrophs have, through remedial education, found a home in breweries and Italian cuisine. Memorable: it’s shaped like the AT&T logo. Spherical: which makes it convenient for those ’round-the-world trips and has a much more pleasing shape than where we came from. Did you ever wonder why we called the previous generation “squares?” Coincidence? Great restaurants: and great atmosphere, unlike, for example, the Moon which has great restaurants but no atmosphere. Neighbors: usually far enough away that they don’t bother us much, and those who do are generally more intelligent than average, needing to understand things like calculus, tachyons, and superluminal FTL dynamics for hyperspatial physics. I don’t know about you, but I’m planning on spending the rest of my life right here on Earth. I have other plans thereafter. So much for the prime directive….